Welcome to Thread It Thursday…. 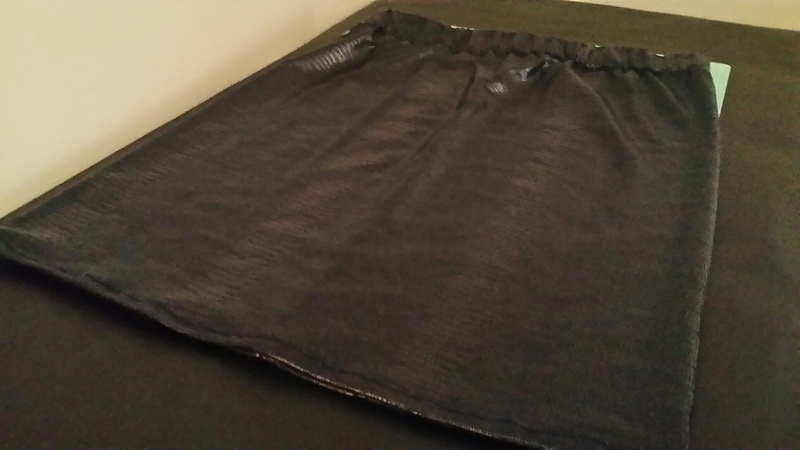 This skirt is truly easy sewing!!! One by one I am going through my fabric stash and completing projects that I have been meaning to get to, since I started sewing a few years back. So next up was a Navy Blue Faux Snake Skin. I always envisioned it being a pencil skirt. 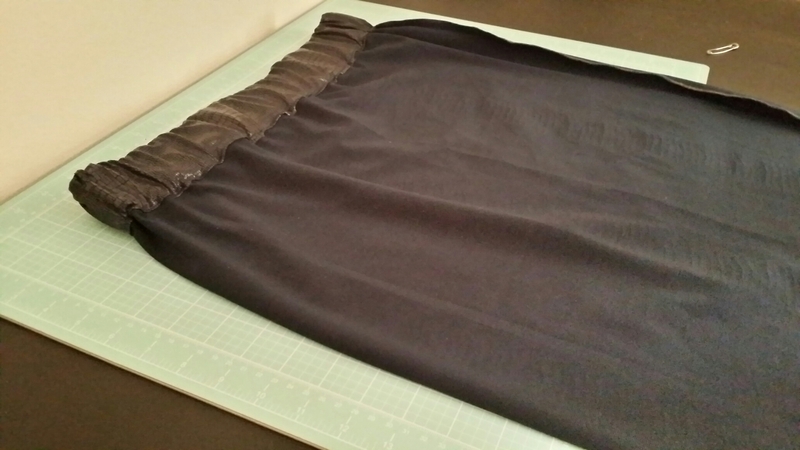 So, I stuck with that and within 30 minutes I had the pencil skirt that had once been just folded fabric in my stash. This is a super simple and quick project. Which is great for me “the impatient sewer”. I am starting to think I will always be that way when it comes to sewing. 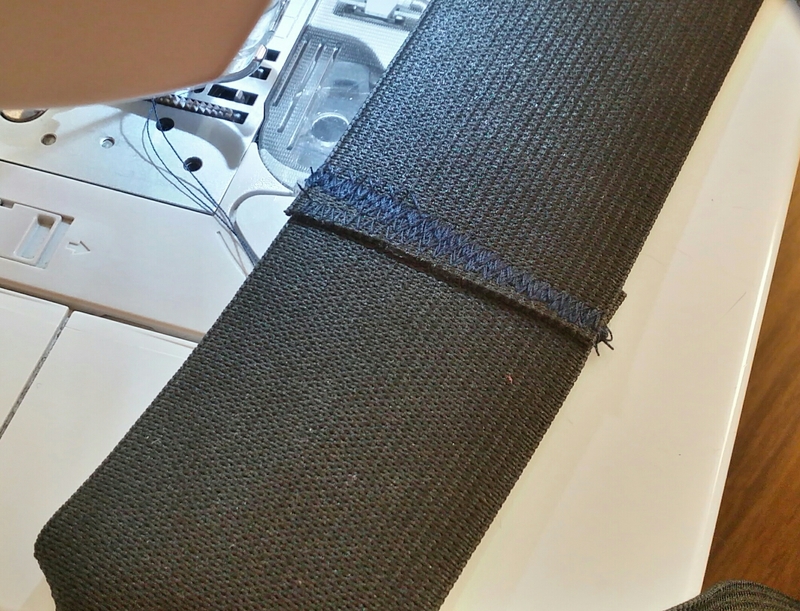 There are so many thing’s I want to make…so my projects have to be quick and well sewn. 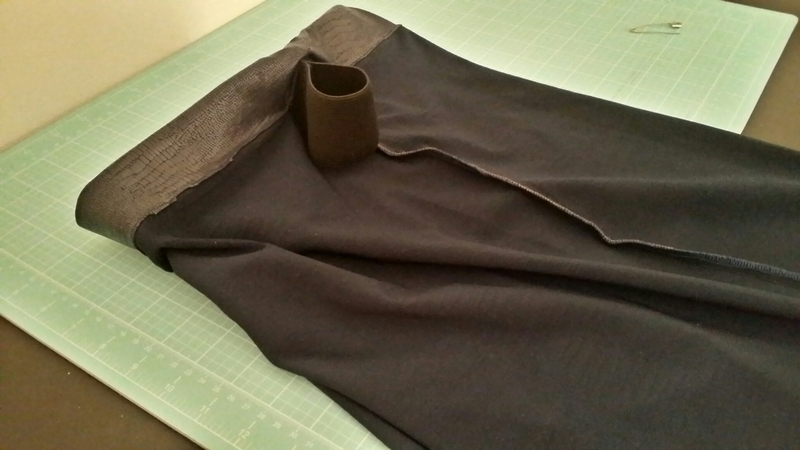 I’m getting impatient now so let’s get to this pencil skirt….lol. 1 yard of a stretch faux snake skin fabric. 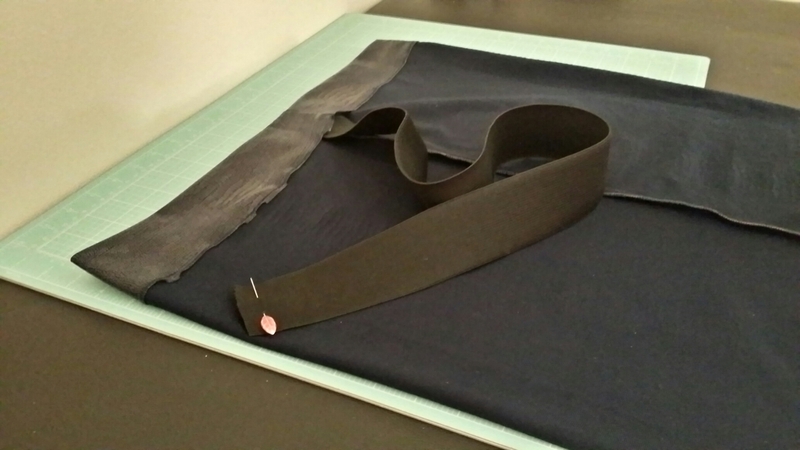 Take your waist measurement and decide on the length. Now cut according to your measurements. 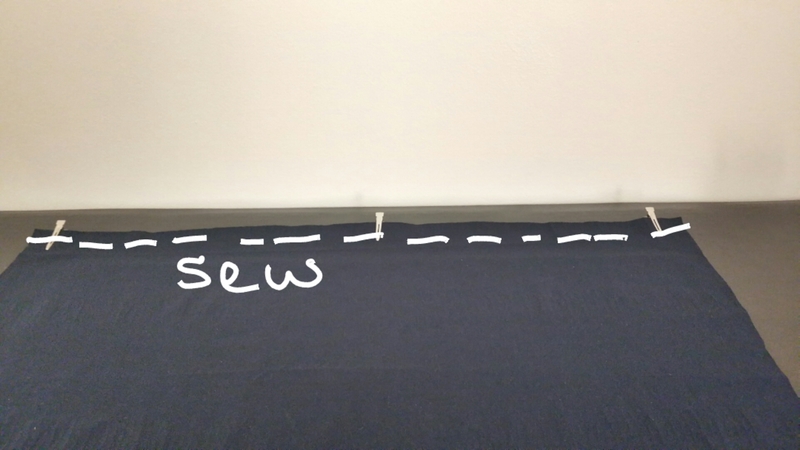 Now it’s time to sew using a small zig-zag or stretch stitch with a 5/8″ seam allowance. 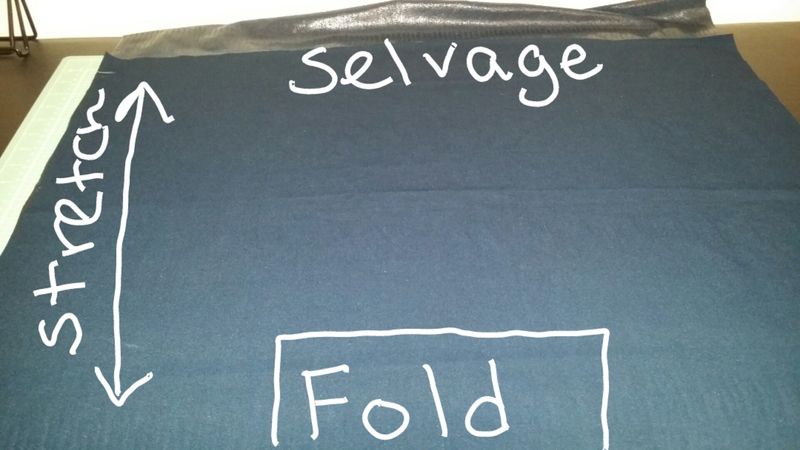 Finish your seam as desired (i.e. serger, regular zig-zag stitch or pinking shear’s). 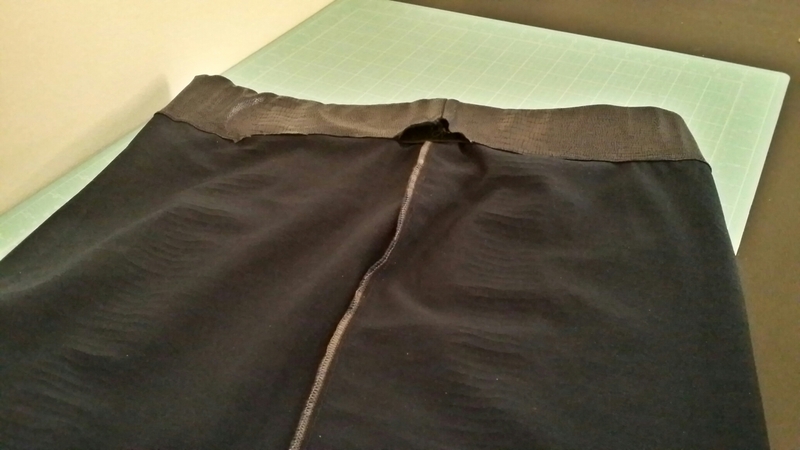 Let’s work on the waistband. 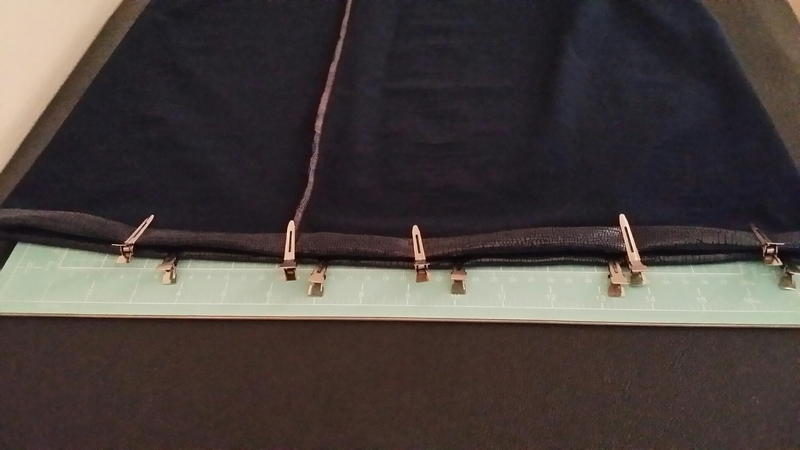 Fold over the waistband 1/4″ and fold over again 2 1/4″ and pin to hold in place. 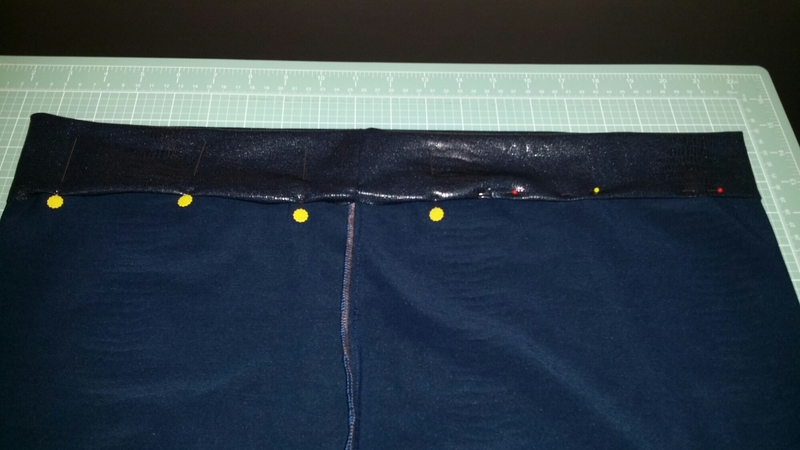 Starting at the seam sew around the edge of the waist with a stretch or small zig-zag stitch, making sure to leave a 3″opening for your elastic to go through later. Next it’s time to fit your elastic. 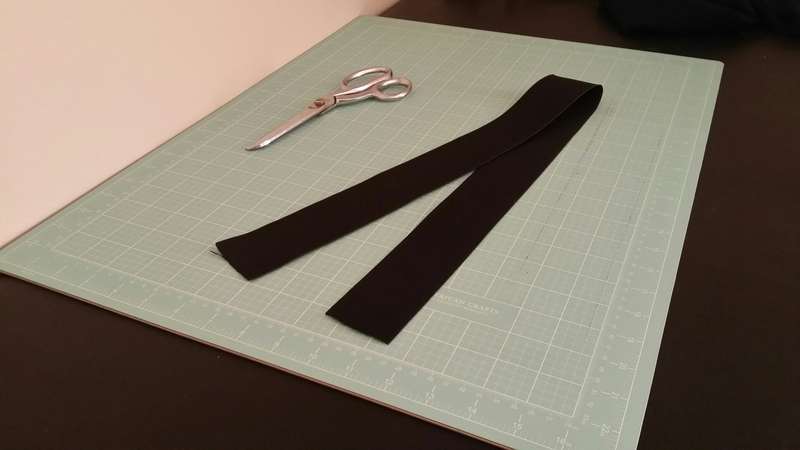 Pull the elastic comfortable around your waist, overlapping the ends and cut. Be sure it comfy and not to tight. 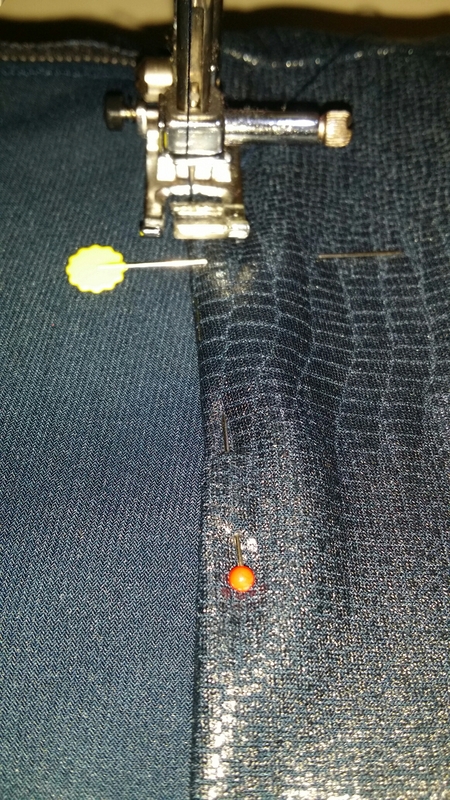 Now using a safety pin and straight pin, feed your elastic through the opening . 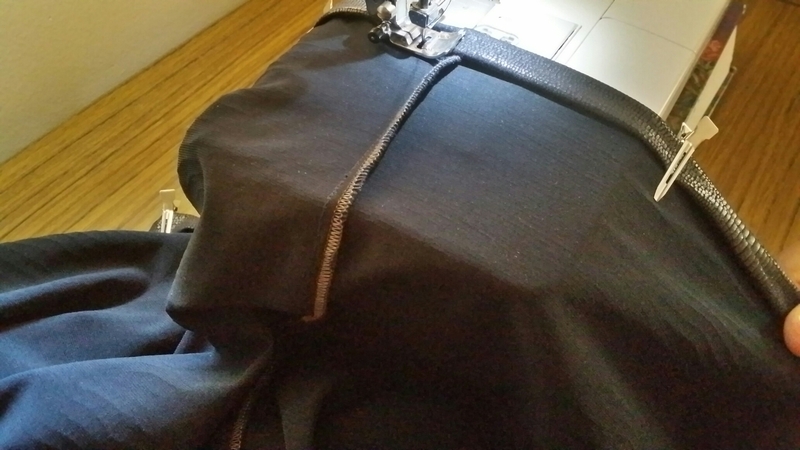 Pull the elastic through the opening and sew the elastic together. 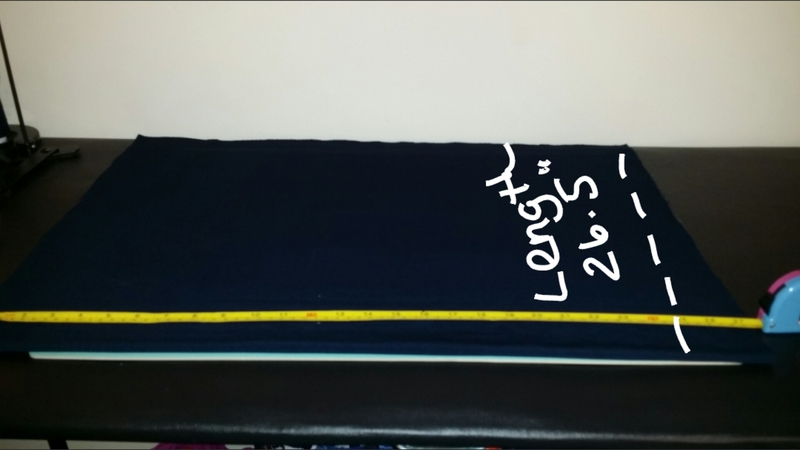 Then sew the 3″ opening closed. It’s time for the last step. The hem. 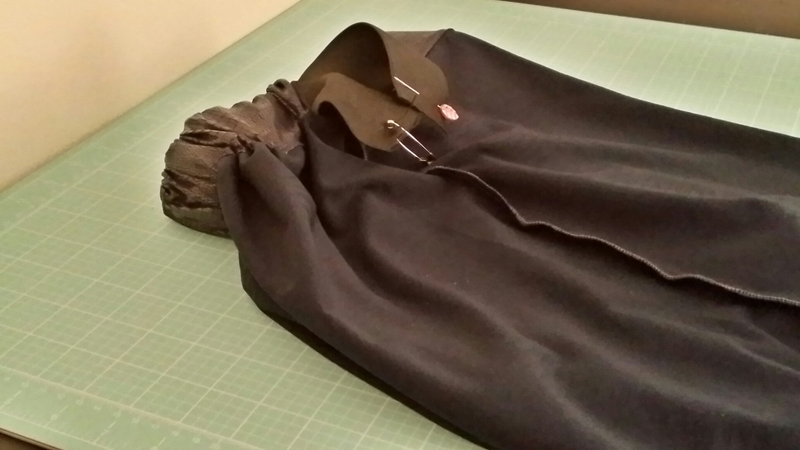 Fold the hem 1/2″ and then again 1/2″ pin to hold into place. 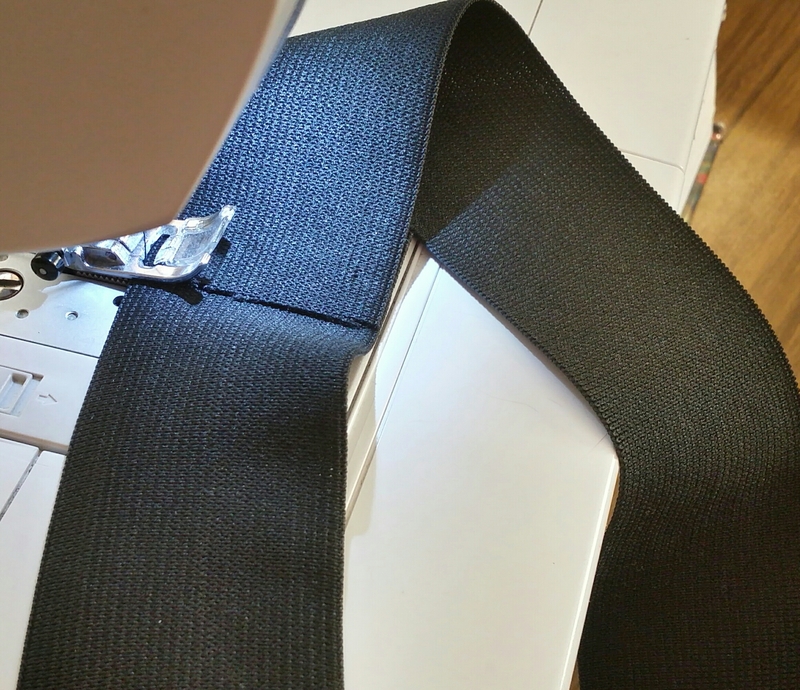 Sew around close to the edge with a stretch or small zig-zag stitch. Tada……. All done and ready to wear. In 30 minutes or less. 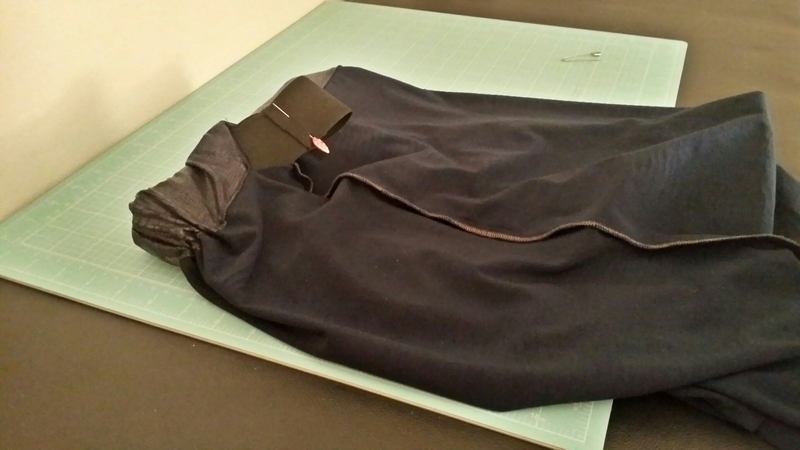 Thank you for stopping by and feel free to check out another pencil skirt tutorial here.